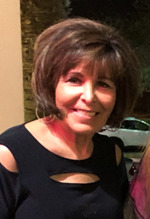 Maura Anne Levine, 69, of Bloomfield Hills, Michigan, died on 03 February 2019. The Funeral was held at Temple Shir Shalom on Monday, 04 February 2019 at 3:00 PM . Click to watch a video of the recorded service. Interment at Clover Hill Park Cemetery.